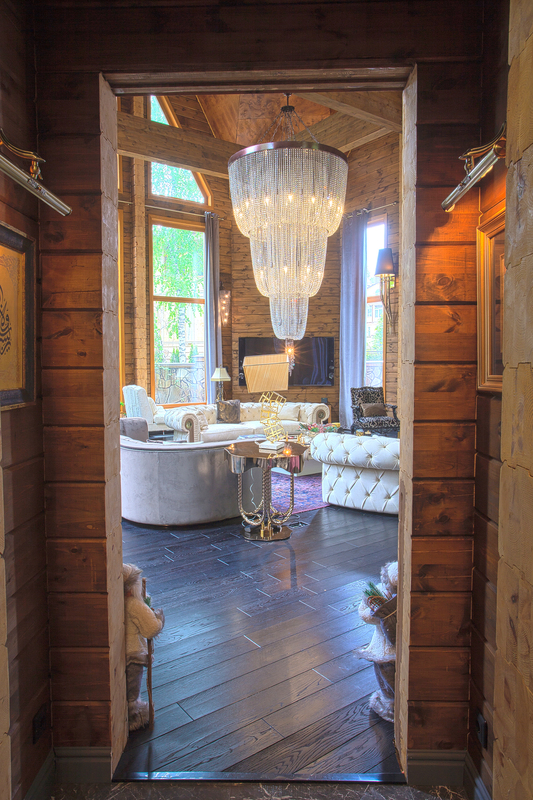 This week’s instalment of the #SBIDinspire series features the magical ‘Log House Extension’ by Orkun Indere Interiors. 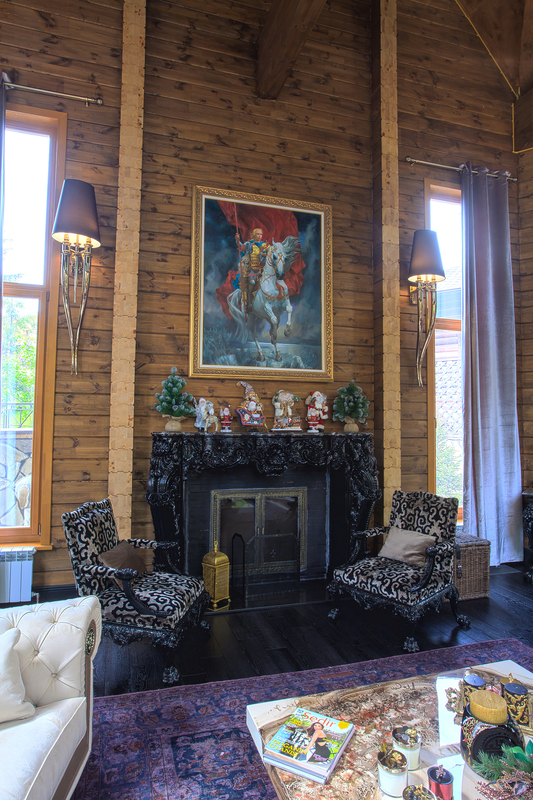 Located in Kazan, this project features all the seasonal cheer you’d expect from a stunning ‘chalet’ in the wintertime. 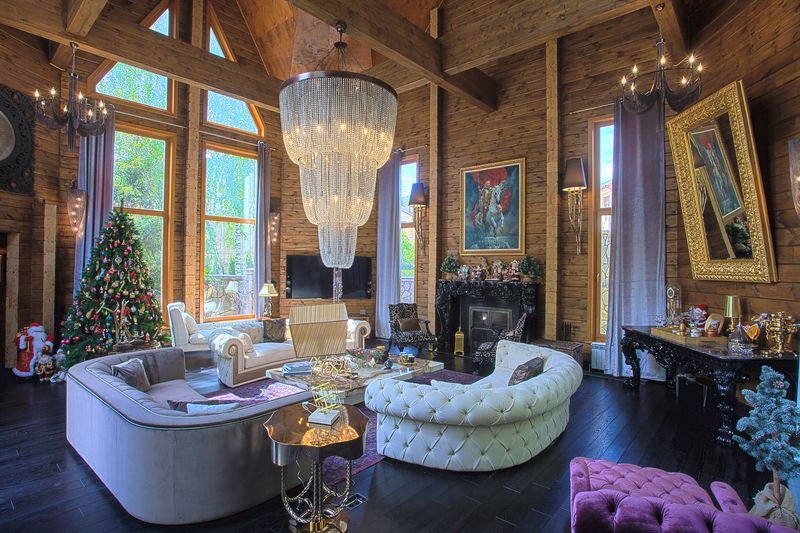 Decked with Christmas decorations and high end interiors, this project is the epitome of festive opulence. The extension was created to expand on this family home to meet the families growing needs. 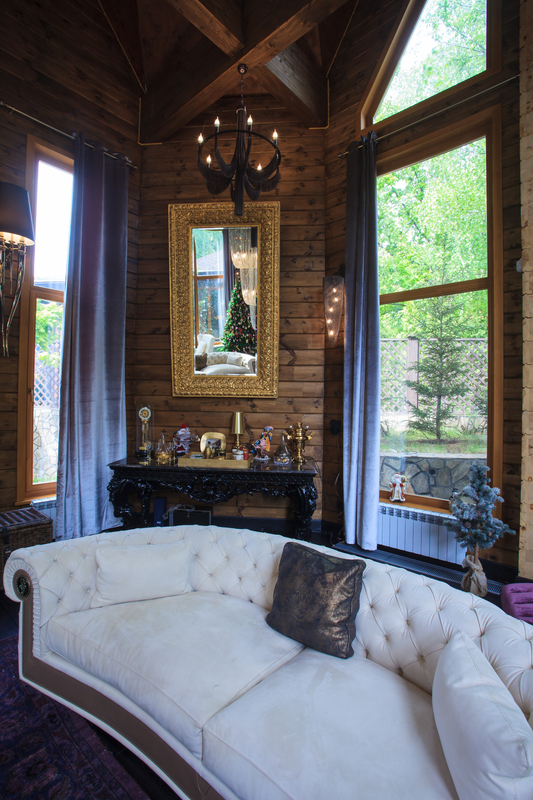 Conventional log house patterns around the location and separate building blocks were designed to emphasise the warm & cosy “chalet” feeling. Every single-functioning building block is connected by hallways. All the new buildings are made of timber and constructed with special joinery techniques which forgo the use of screws and bolts. The new main space is to be used as a living room, while also functioning as a flamboyant area to welcome guests. 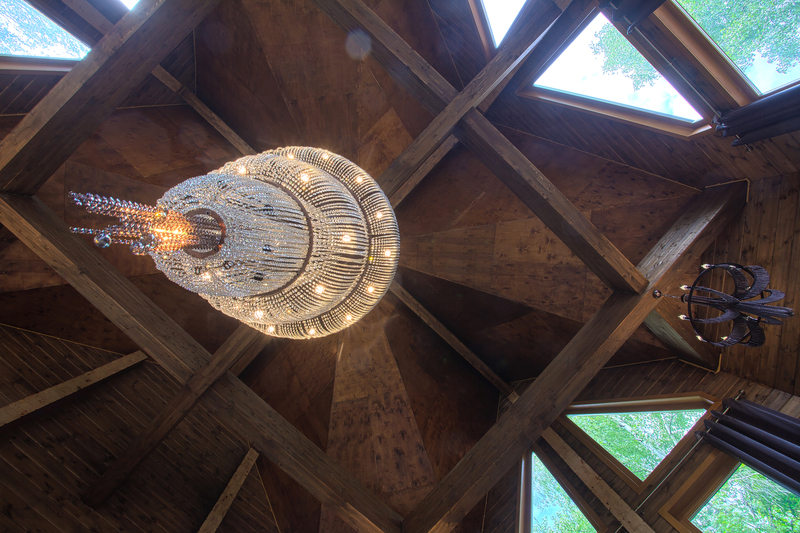 In contrast to the traditional log house aesthetic this area has a very high ceiling profile. SBID had the opportunity to speak with Orkun Indere, Founder & Designer of Orkun Indere Interiors about this magical project. The idea of adding an extension started with the need for more space. The existing building didn’t meet the client’s needs as the whole family (of five) was about to move into the house. The existing building was quite small in relation to its mass. The vernacular architecture of the district which consisted of highly inclined roofing was diminishing the beneficial use of interior areas. With a new life beginning, the client required a bigger en-suite bedroom, three rooms, one for each child, a bigger area for the walk in closet, a proper entrance to the building (the building entrance was not suitable due to its mass and the connection to the living room was not suitable for the guests), a proper dining room and a stunning reception room. We decided to extend the existing building, adding a new area to be connected to the previous. After this change the whole complex would be seen as one chain of buildings. The design emphasises every single room as a building block thus maximising the perception of space in every room. The joint points of short hallways which connect the buildings together, give an extra spacious feeling to every new room you step into. The new layout also affected the existing building as a part of the new chain. After resolving the facilities of dining room, reception room and entrance hall in the new extended blocks, the existing building then turned out to be the intimate and most private part for the family. The new blocks were for welcoming the guests, entertaining and organising special events for celebrations so that the existing building could be used for the private, everyday life of the family. The toughest hurdle was to connect the two existing buildings (the main house and barbecue house) and constructing new buildings in between them, so that the position, angle and distance between existing buildings was a big reference for the shape of the final design. Firstly we positioned the new reception room building with an area of 9 x 8 metres, we had to connect them one by one to the existing building. There planned three main blocks approaching to the existing house; reception room, entrance space and joint block which includes the staircase around a preserved tree existing on the land. We chose the side façade of the existing building (the kitchen façade also including an exit to the land) for the joint point of new blocks. The plan layout and shape of each single block, derived from the positions of the buildings as came out of the joint angles. As many different blocks had to join each other properly we wanted to use the biggest block (reception room) as the conjunction unit, so the first idea was to design it in an octagonal shape to use some façades to connect to other blocks. For this project there were a variety of of highlights. One of my favourite aspects of this project includes the height of the rooftop of the main building block used as the living room, it was 8,5 meters high inside the building, supported with a mesh of beams to keep the huge block stable. Stunning! Another highlight was the preservation of an existing tree so at the time of snow in winter you can have a well snowed tree inside the house right in the middle of the staircase. SBID is an internationally known professional body registered in the UK to accredit professionals in interior design, to be accredited by SBID is a great opportunity to spread our design approach and projects to an international platform. That’s why I wanted to enter and be chosen by SBID. 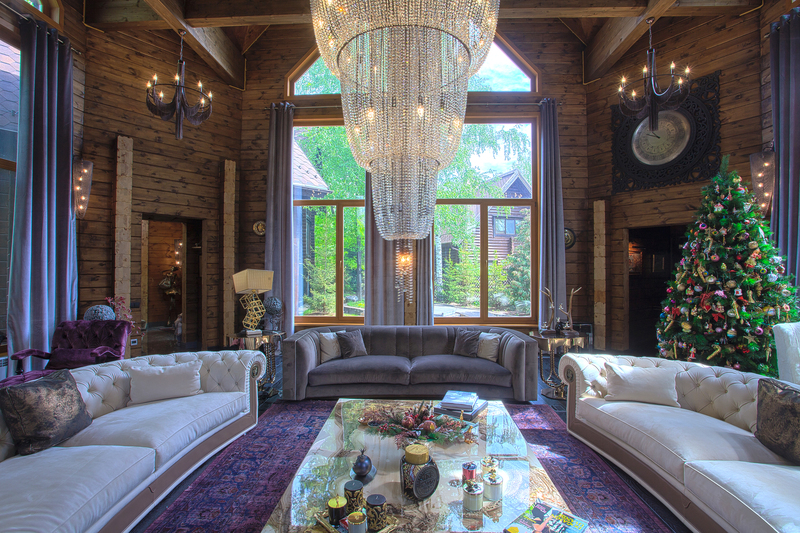 Questions answered by Orkun Indere, Founder & Designer of Orkun Indere Interiors.